If the man who leaked information about J.K. Rowling being the true author of this year’s crime novel The Cuckoo’s Calling thought he was in the clear, he thought wrong. According to The Chicago Tribune, lawyer Chris Gossage has been fined 1000 pounds ($1650) and has received a warning for revealing that bestselling Harry Potter author J.K. Rowling was the true author of The Cuckoo’s Calling. The novel was released under the pseudonym Robert Gailbraith. Gossage is a partner in the firm Russells Solicitors, which represented Rowling. He apparently leaked the information to his wife’s best friend. She then tweeted it out, causing international book shock and making The Cuckoo’s Calling a fast bestseller. After it happened, Rowling was publicly upset, telling the press that she had enjoyed releasing the book under a pseudonym and not having hype surround her. The book had received positive reviews, but initially hadn’t sold well. In addition to the fine and warning, Gossage’s firm paid Rowling’s legal costs after she sued them. They also made a donation to the charity of Rowling’s choice, the Soldiers’ Charity. It took eight long years, but a judge has finally ruled on a lawsuit filed by the Authors Guild against Google, concerning the web site’s library book scanning project. The judge dismissed the Authors Guild’s lawsuit. The Authors Guild plans to appeal the decision, but it could run into a problem. The Second Circuit is already handling a similar case, in which the judge also initially ruled against the guild. What do you think of Google Books and its library book scanning project? Good for books/authors or bad? Well folks, it looks like Atticus Finch is returning to the courtroom. Sort of. 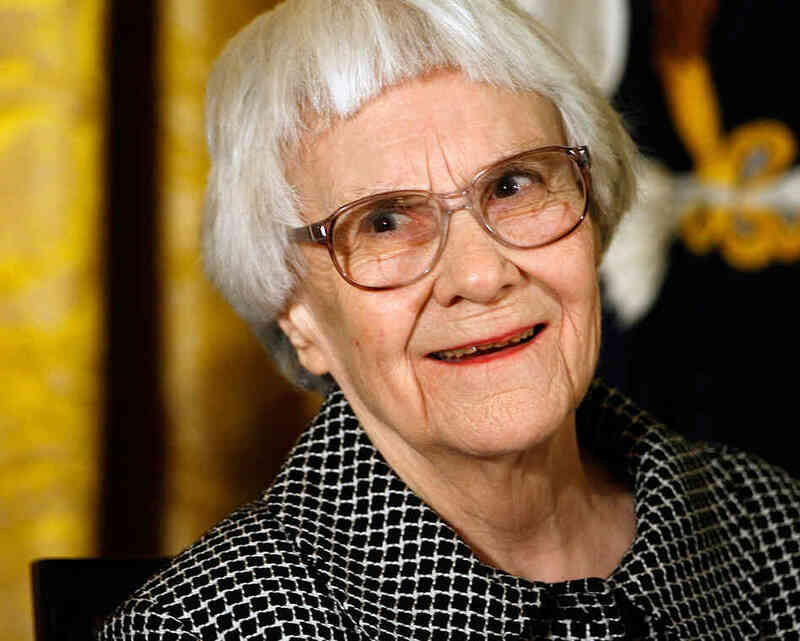 According to Deadline, Pulitzer Prize-winning author Harper Lee is suing for the copyright of her 1960 classic To Kill A Mockingbird. She alleges that after her former agent got sick 10 years ago, his son-in-law assigned the copyright to himself and a firm he manages. The 87-year-old author claims he took advantage of her poor eyesight and hearing. Now she’s suing to get her copyright back as well as money for damages. With a book like Mockingbird, it makes sense that she’d want to hold on to that copyright. After all, between the Oscar-winning movie and the book, which is still read in most high school classrooms, I imagine a copyright like that would bring in a lot of money. For those of you who still had old, unused Borders gift cards lying around, you’re not in luck. 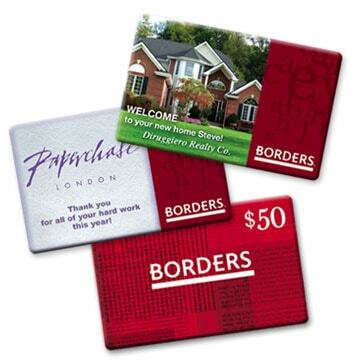 According to the LA Times, a judge ruled last month that old Borders gift cards could not be redeemed. Borders filed for bankruptcy in February 2011 and shut its doors later that year. Soon after, a few customers filed a lawsuit, claiming customers did not get enough notice about the closure to use their gift cards in time. Though a claim deadline had been printed in The New York Times and Wall Street Journal, they claimed the average person wouldn’t have necessarily read those articles. Although there’s an estimated $210.5 million worth of unused Borders gift cards out there, a Manhattan federal judge determined that issuing all of that money to former customers wouldn’t be fair to creditors of the Borders Group, especially since the bankruptcy and liquidation is already complete. The judge upheld last year’s ruling of a U.S. bankruptcy judge. It was an event that garnered so much attention, it’s now being used as a politic punching point in the 2012 Presidential election — the day six Navy SEALs killed Osama bin Laden. When something as monumental as this moment happens, people are bound to write books about it. But when one of the SEALs writes it himself, it’s not easy for the Pentagon to overlook. According to The New York Times, the Pentagon is considering taking legal action against Matt Bissonnette, the SEAL who penned the now bestselling book No Easy Day under the pseudonym Mark Owen. The Pentagon says Bissonnette breached confidentiality agreements by releasing information about the top-secret attack on and killing of Osama bin Laden without the Pentagon’s permission. Bissonnette’s lawyer claims the author sought legal advice before publishing the book and that there was no information released in the book that would have breached nondisclosure agreements. His lawyer even goes so far as to say such agreements do not apply to this book, as Elisabeth Bumiller Julie Bosman explain. The letter also said that the book was not subject to the nondisclosure agreement that the Defense Department said was violated. That agreement applied only to “specially identified Special Access Programs” that did not include the subject matter of the book, Mr. Luskin wrote. While I’m dying to read the book, I can’t imagine there will be absolutely no legal consequences to having published it. Frankly, I was shocked that one of the SEALs himself made a point of publicly disclosing any information about the mission. I fear it could put the Pentagon and other SEALs in danger, but then again, I don’t know until I read it. What do you guys think? Get No Easy Day in hardcover for $16.17. A few months ago, I told you about a possible lawsuit involving a number of publishers who allegedly raised e-book prices illegally. I then reported that three of those publishers had reached a settlement. Well now, we know the details of that settlement. So how does this affect you? It means that if you bought an e-book anytime between April 1, 2010 and May 21, 2012, you’ll get some money back. However, it probably won’t amount to very much, as Carolyn Kellogg explains. Publishers will payconsumers $1.32 for each bestselling title they purchased, 32 cents for books that were less than a year old but not bestsellers, and 25 cents for older e-books. Even devoted readers won’t wind up with much more than the cost of a new e-book or two. Conveniently, refunds will appear in e-book buyers’ online accounts on iTunes, Amazon and Barnes & Noble. Readers who purchased e-books through Google or Sony’s storefronts will receive a check, and others can opt to. They can also opt not to receive any rebate at all. I’m thinking I’ll probably get some money back, but based on what Kellogg says, I likely won’t even realize that anything’s been deposited back into my account. What do you guys think? Do you think these publishers have coughed up enough dough? Or not as much as they should have?